His Holiness Patriarch Mor Ignatius Aphrem II received His Beatitude Joseph Absi, Greek-Melkite Catholic Patriarch of Antioch and all the East, Alexandria, and Jerusalem, at the Patriarchate headquarters in Bab Touma – Damascus. His Beatitude conveyed Easter greetings to His Holiness. They discussed together the recent developments in Syria after US, France and UK strikes. 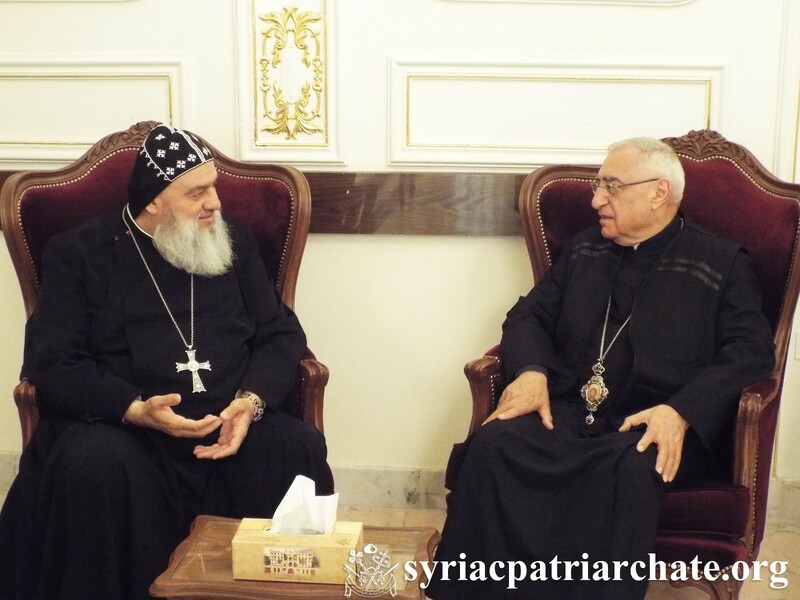 His Eminence Mor Timotheos Matta Al-Khoury, Patriarchal Vicar of the Patriarchal Archdiocese of Damascus, Very Rev. Raban Joseph Bali, Patriarchal Secretary and Media Office Director, and Deacon Imad Syryany attended the meeting.